When installing a sliding door system, it is important to select the right type of sliding door hardware for the system to function correctly. The different hanger options are all based upon the weight of the doors, and they are sized to the track. 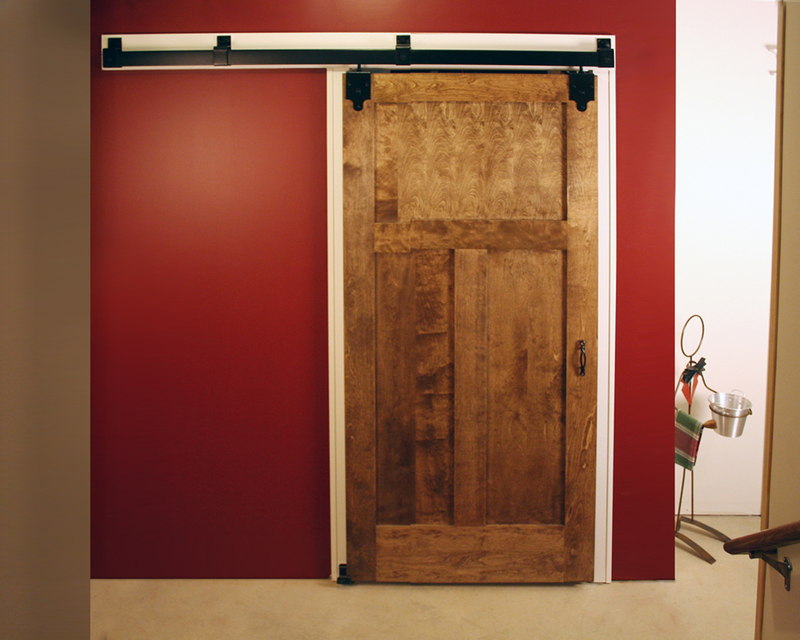 Light Duty – Flat Track/Hangers or Box Track/Hangers should be able to support a door weighing 200 to 400 pounds. 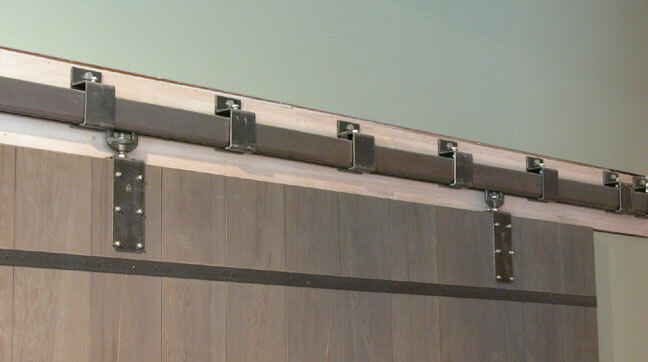 Medium Duty – Box Track/Hangers are designed to support doors weighing up to 600- 800 pounds. Heavy Duty – Box Track/Hangers for doors weighing 800 – 1000 pounds. Light Duty Systems feature either flat track with hangers or box track with hangers. This selection is directly related to your aesthetic preferences. Some people choose a flat track system for a traditional or antique look; others prefer the more industrial look of box track. They both work in the same way and come with different styles of hangers. On flat track, the hangers “ride” openly on the flat rail. With box track, the hangers are enclosed within the track and ride on it. Light-duty systems are often used in residences, apartments, garages, and commercial business – anywhere the door does not exceed 400 pounds. 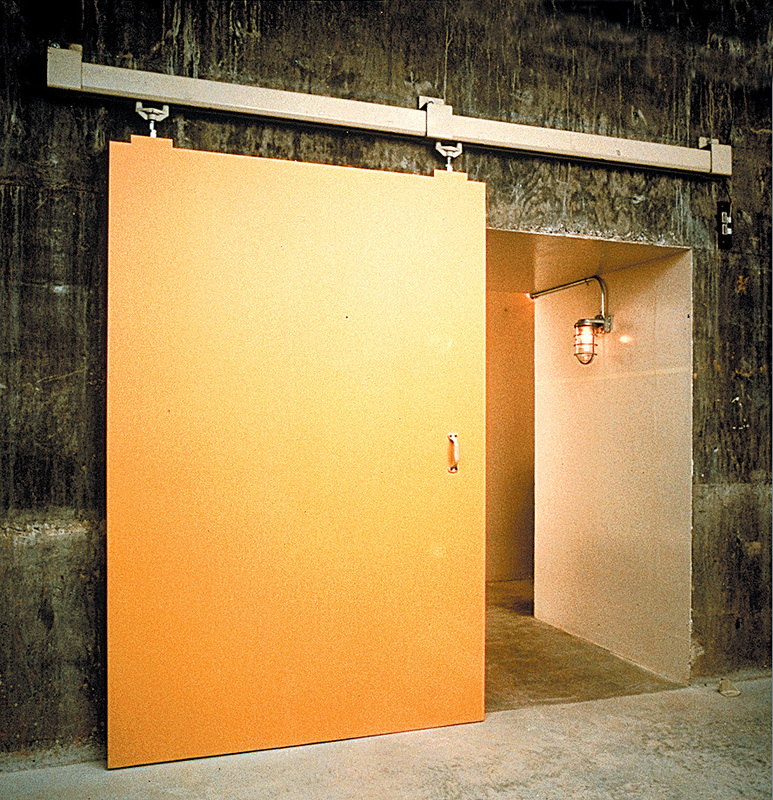 Medium Duty Systems are often used in commercial settings that have larger and heavier doors weighing 600-800 pounds. Building applications such as cafeterias, stores, restaurants, manufacturing facilities, and warehouses commonly use systems of this weight. Heavy Duty Systems are found in industrial settings and larger commercial buildings that need the massive 800-1000 pound hardware. 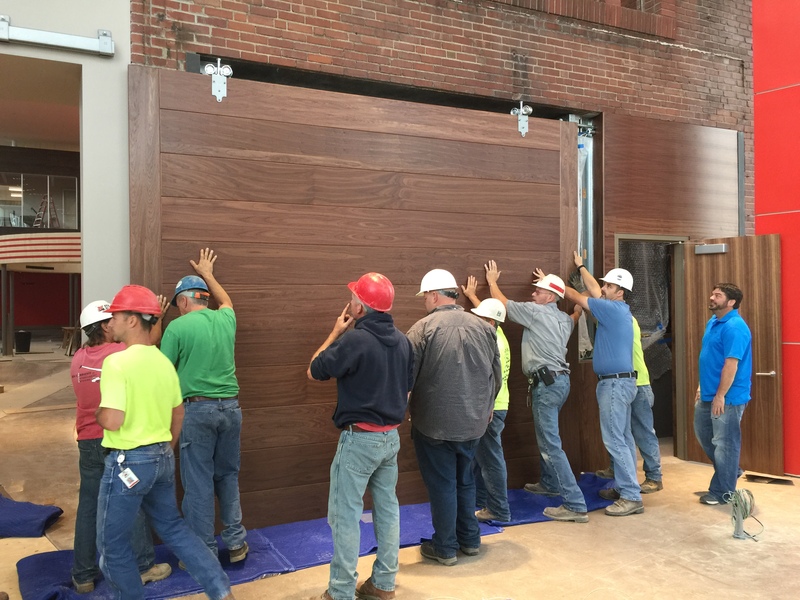 Very heavy metal partition doors, theater curtains, and wide or oversized doors used in convention centers are common applications. Now, let’s get into some of the differences in the hangers used for those systems. Regardless of the size of the door, there are always two hangers per door; no more, no less. 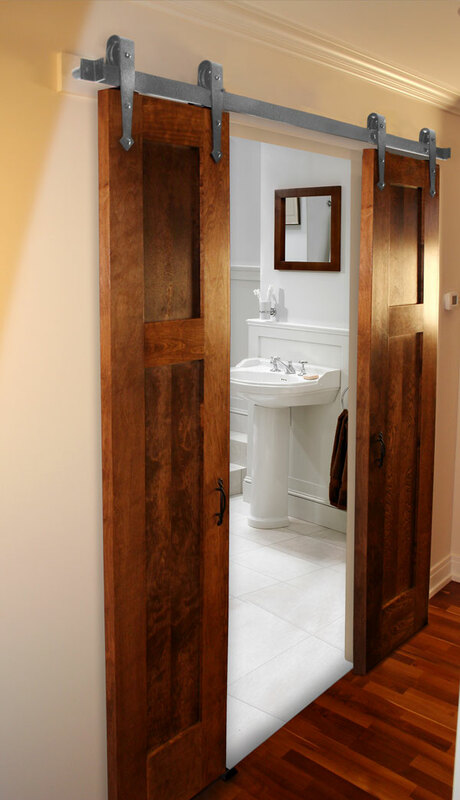 Most hangers work on a variety of door materials including, wood (solid and hollow core), vinyl clad MDF, metal, aluminum, and glass (although you’ll want to make sure your door fabricator can drill the appropriate mounting holes into the glass). Door hangers typically consist of a wheel assembly, also called a “truck,” and an adjustable bolt. Depending on the type of door hanger selected, it may have an “apron” or small metal bracket that extends over the door for securing the hanger to the sliding door. Door hangers for flat track also have a wheel assembly and a decorative apron in the shape of an arrowhead, or a simple strap for a traditional look but no adjustable bolt. 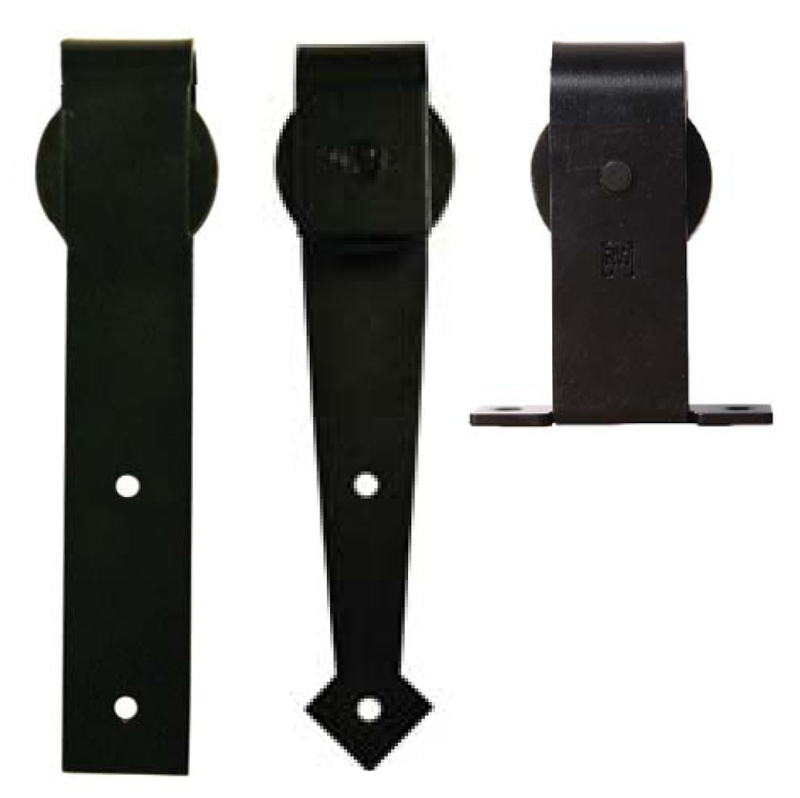 There are some door hanger assemblies that do not have aprons, and these are called “top mount” hangers. Rather, there is a small metal plate the adjustment screw feeds through, and this plate is secured directly to the top of the door. Door hangers without aprons are typically used for aesthetic and appearance purposes. Hangers and tracks are designed to match in weight capacity. As doors increase in height, width, thickness, and weight, the width and gauge of the track increases, and the hangers/wheels also increase in size to match. They cannot be interchanged. For light- to medium-duty systems, both synthetic and metal wheels are used for hangers. Synthetic wheels cause less wear on the track, are quieter, and reduce spreading of the track compared to metal wheels, but they don’t last quite as long as metal wheels. For medium- or heavy-duty track systems, metal wheels are usually standard. For heavier-duty systems, there are options for hangers with roller bearing or ball bearing construction. These options are professionally specified based on an assessment of door usage and whether the door is manually operation or power assisted. For further assistance in selecting the right door track systems, call RW Hardware at 800-253-5668, ext. 4678. We offer a wide range of solutions and can help design customized door systems.